When I was a child everyone had a hobby. We were sewers, knitters, embroiderers, musicians, gardeners, cake decorators, handymen and readers. But MY family had a few unusual hobbies. Apart from the smelly teenage boys having their equally smelly ferrets, my uncle who lived over the road had a stable of horses he trained as trotters… and my dad had both a shed and exotic birds, which earned him the title of ‘The Birdman’. 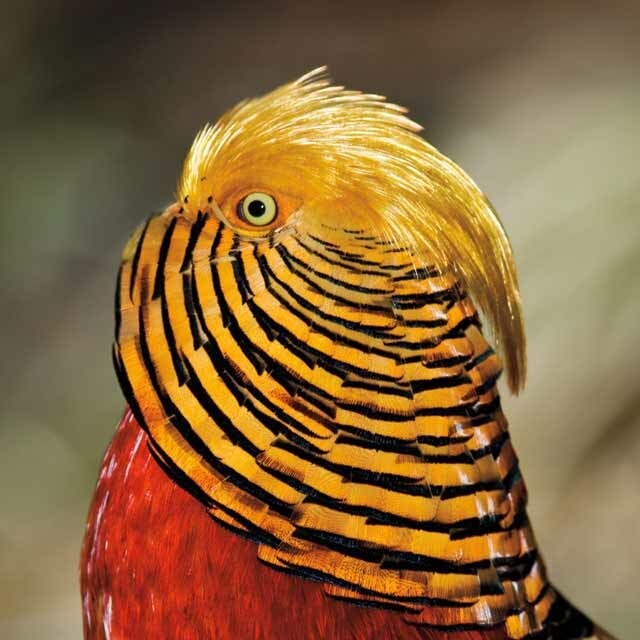 I was completely unaware that being ‘bird lovers’ did not earn much social currency and at the age of nine was totally over the moon when I received a golden pheasant for my birthday ….. I was blown away by the colours which were especially intoxicating when they glistened in the sun. ‘Harry’ had no idea that he was my pet which would have been emotionally unrewarding had it not been for the swoon of pleasure I experienced every time I thought of his beauty. For many years, during moulting season, my Dad would collect the beautiful feather from his exotic birds and send them to me packed in shoe boxes. They were kept as treasure and would feature every now and then in my work. These pieces were part of a group exhibition I was involved in when I worked as an Artist in Residence with Arts Access in 1988. Jewel Box incorporated the crest feathers of the Major Mitchell, a native Australian Parrot. My love of colour has never left me. 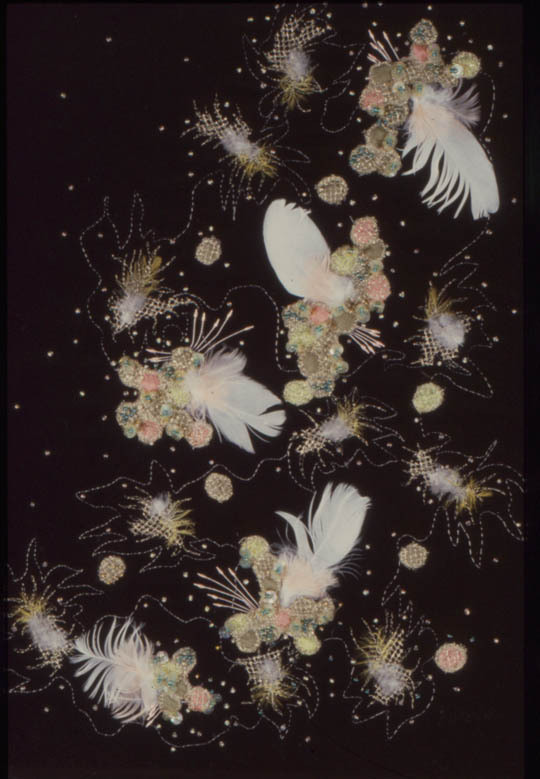 At the time I worked with black velvet as a background to deepen the beauty of the feathers. I have always used machine embroidery as my pencil and beads to add detail. I found a few other feathery things in the back of the bottom drawer … stay tuned. 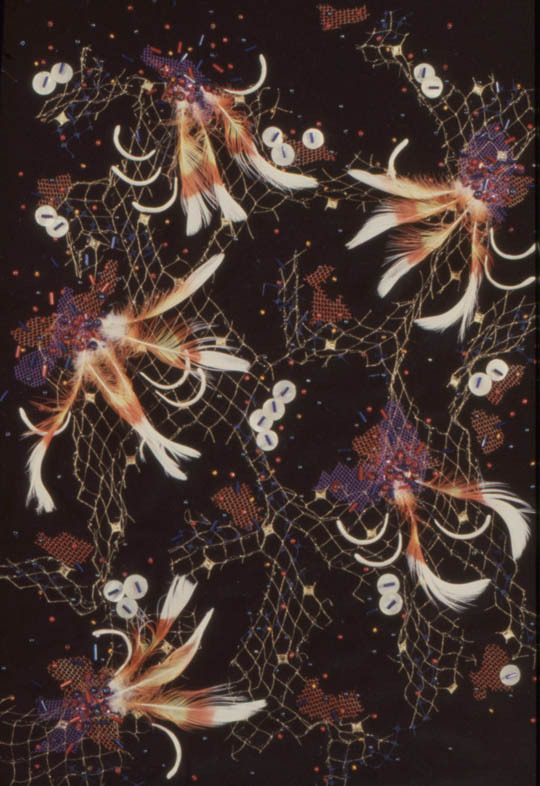 Oh Kerrie … thank you so much for the memories … always loved the birds … especially the pheasants. 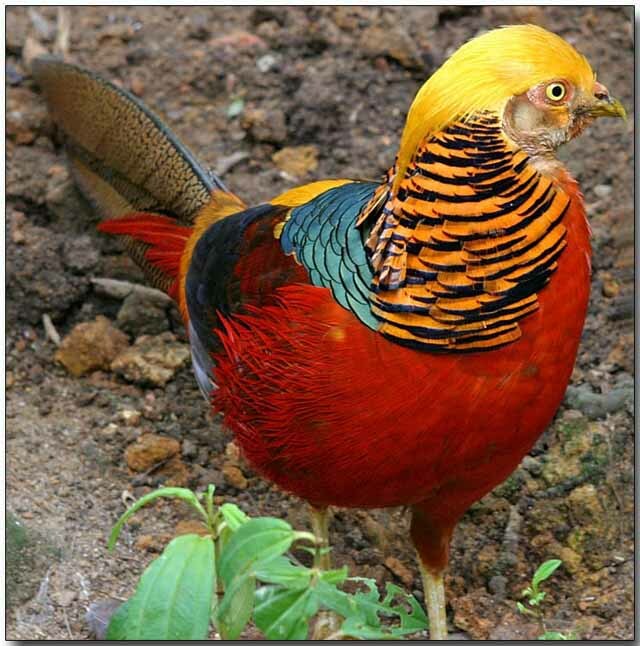 Such a pretty pet — never spotted you as a bird fancier! Hi colleagues, its impressive piece of writing on the topic of cultureand completely explained, keep it up all the time.